Center cockpit, aft cabin with Queen berth. Two heads with shower. Galley with propane stove and oven. 19 cu foot freezer/refrigerator built in to the hull with cold plates with Crosby compressor running on 120v. 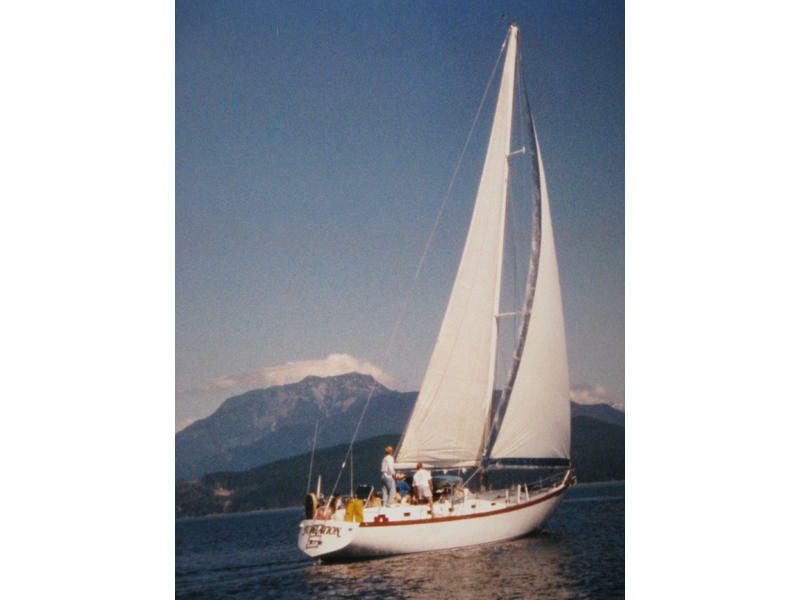 Double head sail rigged with roller furling 170 Genoa and all sails are excellent or very good condition. Forepeak has 6’6 bunk berths to sleep 4. Cedar lined hanging lockers. Teak interior with caning in all doors and cabinets. 250 gal water in 3 integral tanks. 6 person Avon life raft for cold water.